Hello, everyone! 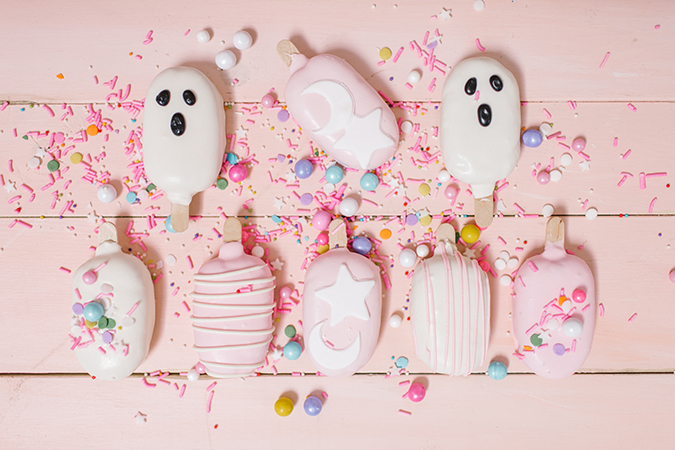 It’s Royale here from But First, Party!. 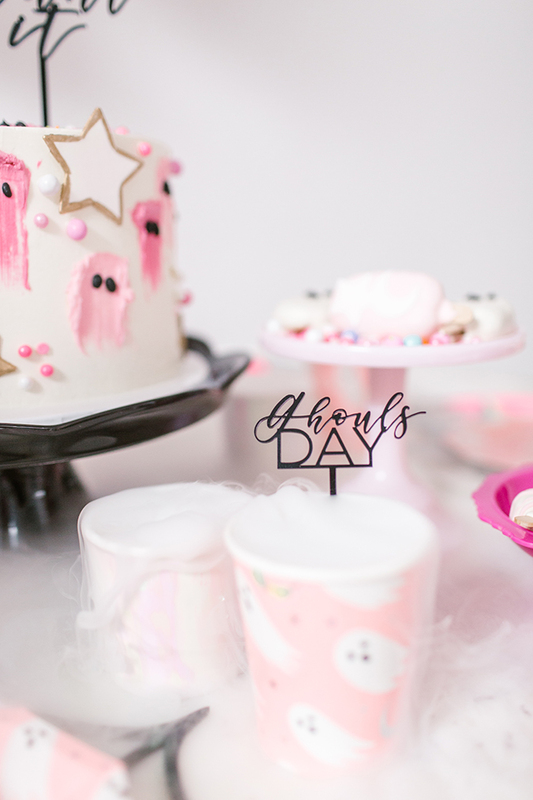 Once again, a bootiful print is all it took to envision a perfectly pink ‘Ghouls Day’ fête for Halloween! Remember how this plant shop party was inspired by The Little Market? 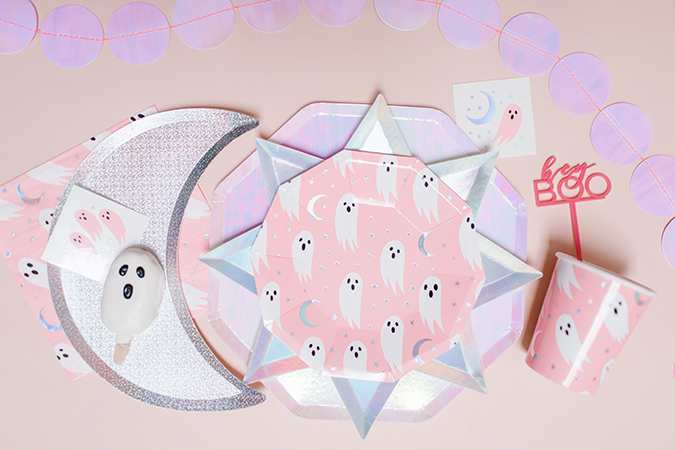 Well, the Hey Boo collection from Daydream Society felt like it was made for Oui Party people, with cute little ghosts, sparkling stars and iridescent moons—OMGourd, dead! 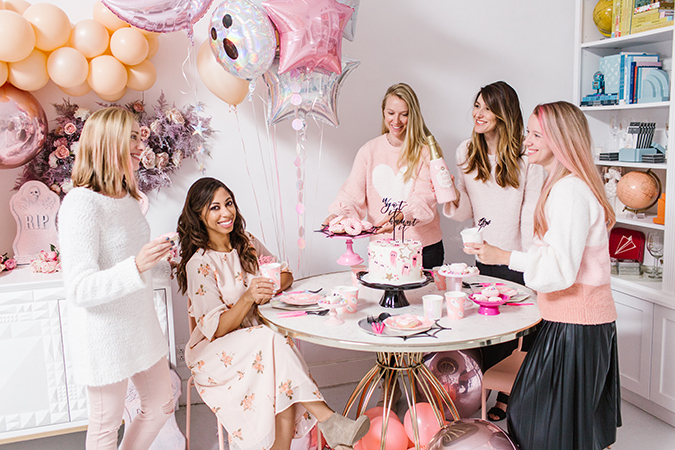 It just so happened that Lauren’s latest and super cozy LC Lauren Conrad collection fit the theme perfectly. 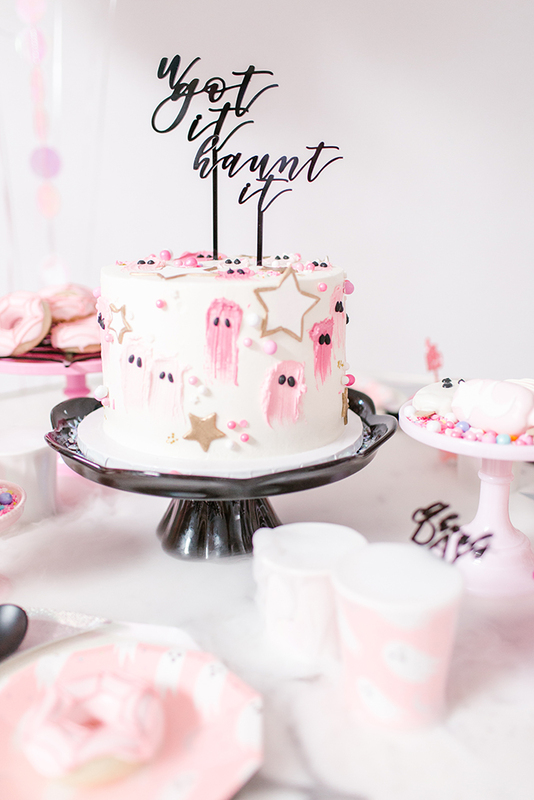 So while we didn’t have costumes on, our blush pink outfits and fun decorations really made this party pop. 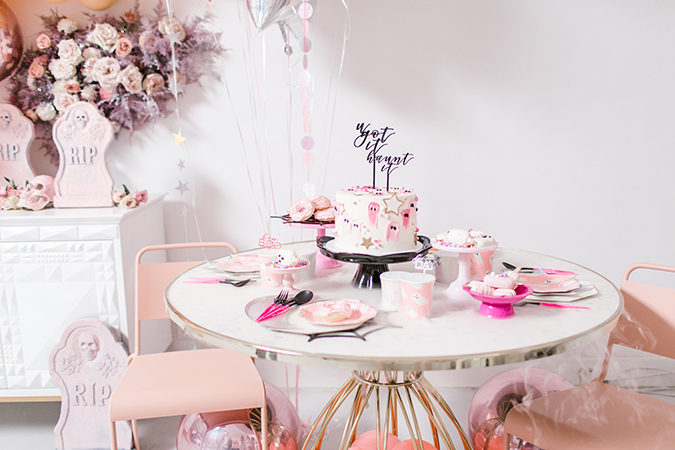 And because I love a good layering effect, I paired this to-die-for partyware with other shiny table accents, like these pink plates and cups, as well as these shimmering moon plates. 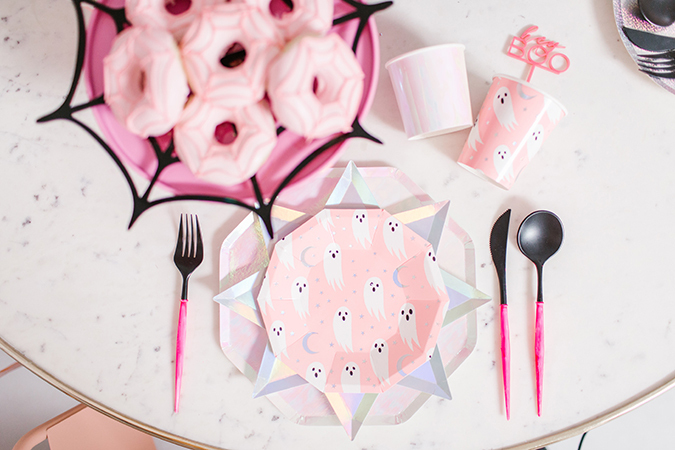 The lovely Creative Amme also brought some terror to the table with spiderweb placemats and stir sticks. 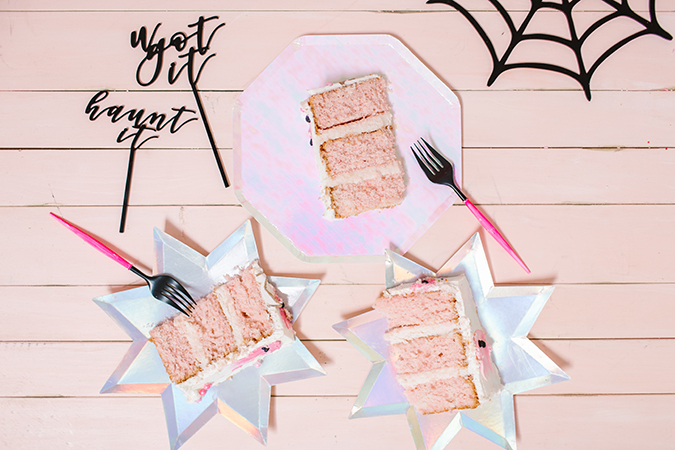 Basically, as long as you’re wearing pink, you can sit with us! 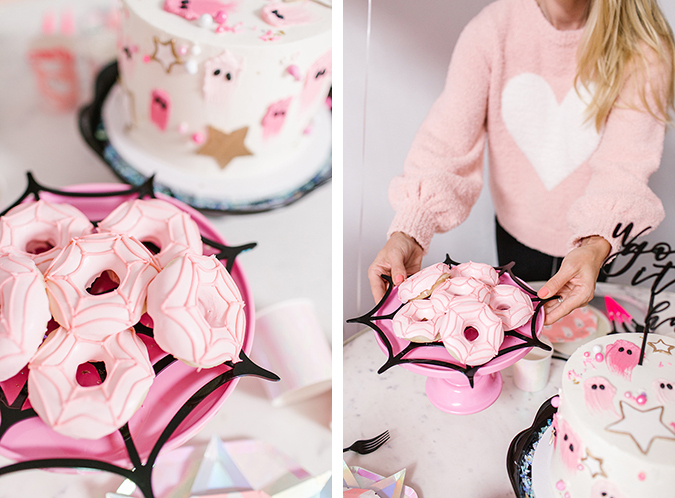 Speaking of spider webs, how cute are the pink web donuts from our go-to-ghoul Lauren Lowstan? 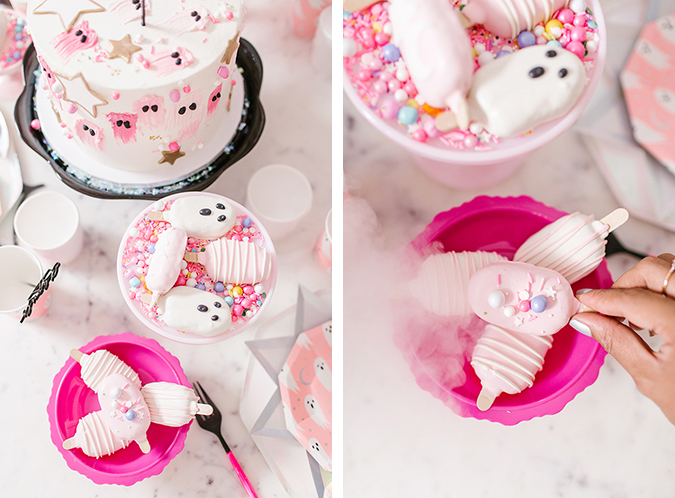 She also made the sweetest little pumpkin flavored cake pops frosted in pink and white, featuring stars and stripes and naturally, little ghost faces for some frighteningly good fun! 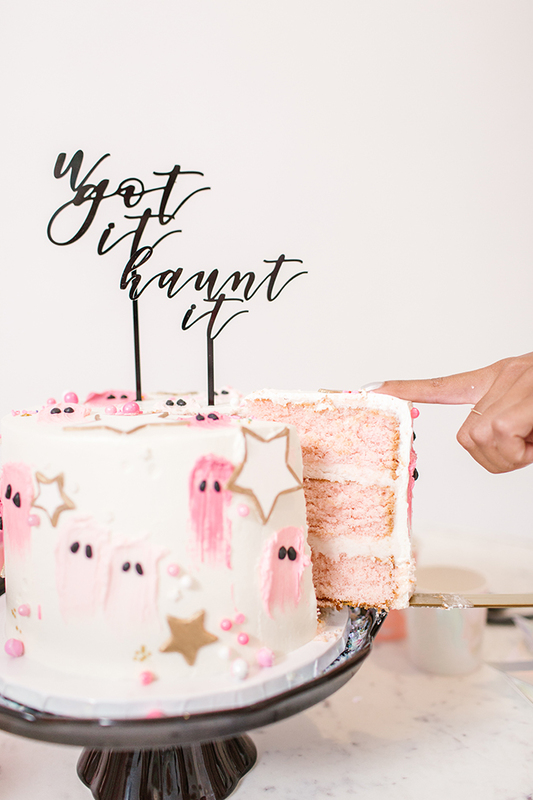 And as always, the star of the show was a delicious strawberry-centered cake with stars and buttercream brushstroke ghosts, topped off with a U Got It, Haunt It topper! 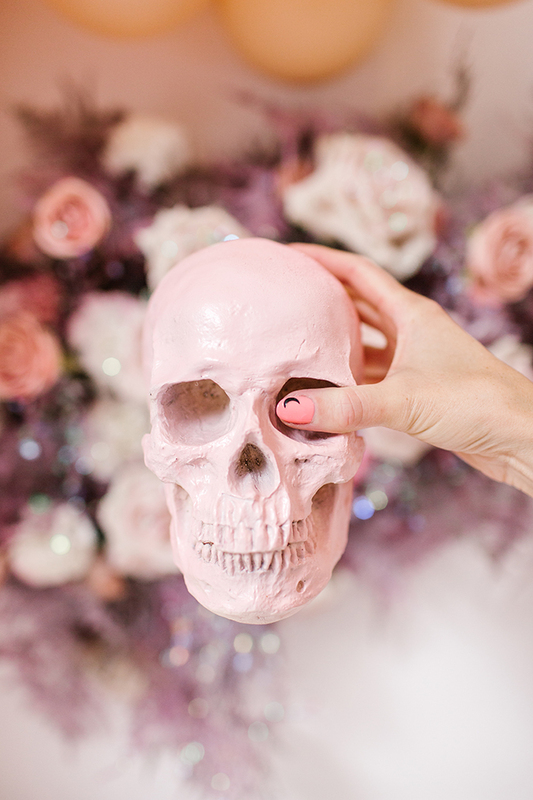 We couldn’t help but trick-or-treat ourselves. 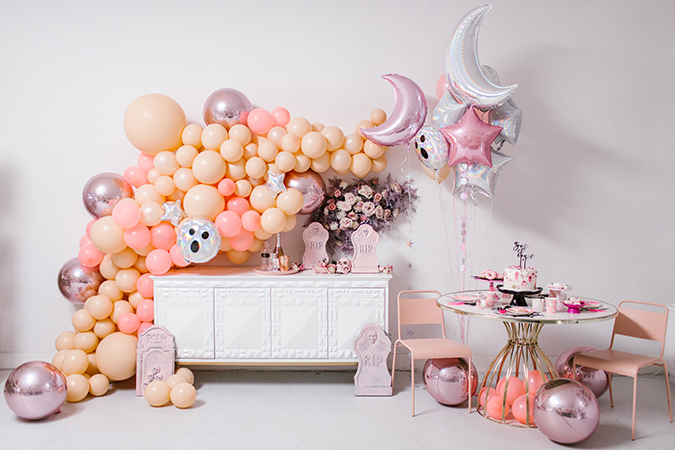 Of course, nothing made this blush bash more complete than the balloons from boss witch babe Bonjour Fête! 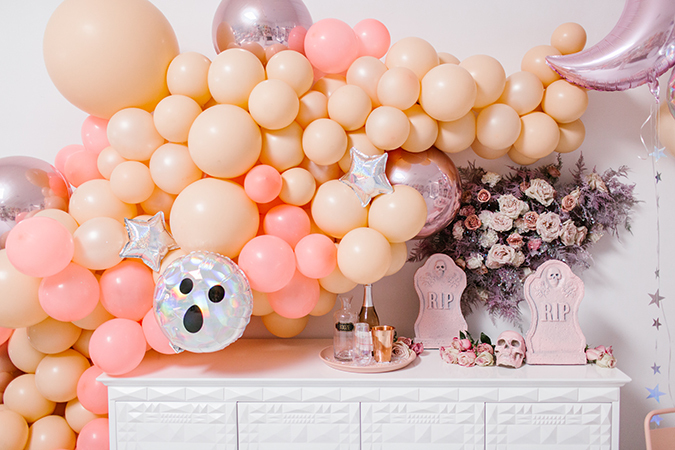 The holographic ghost balloons and spooktacular florals from Earth Baby Flowers made this installation even more bone-chillingly good. 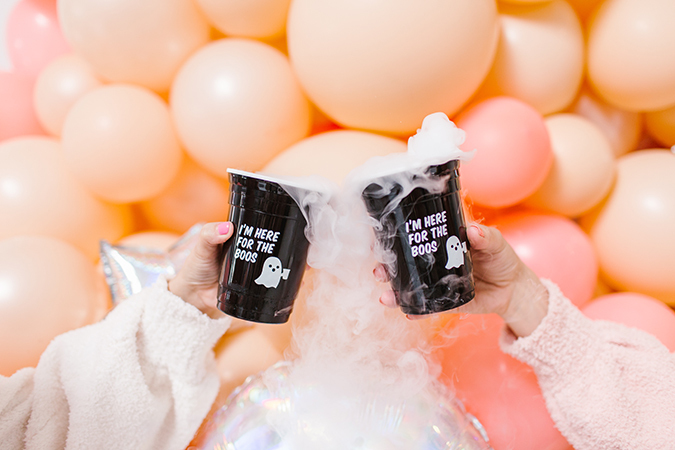 As for the booze, or boos, nothing lifts your spirits quite like champagne flutes, ghost cups, and dry ice! What are you waiting for, let’s get this party startled! Let me know what they are in the comments! 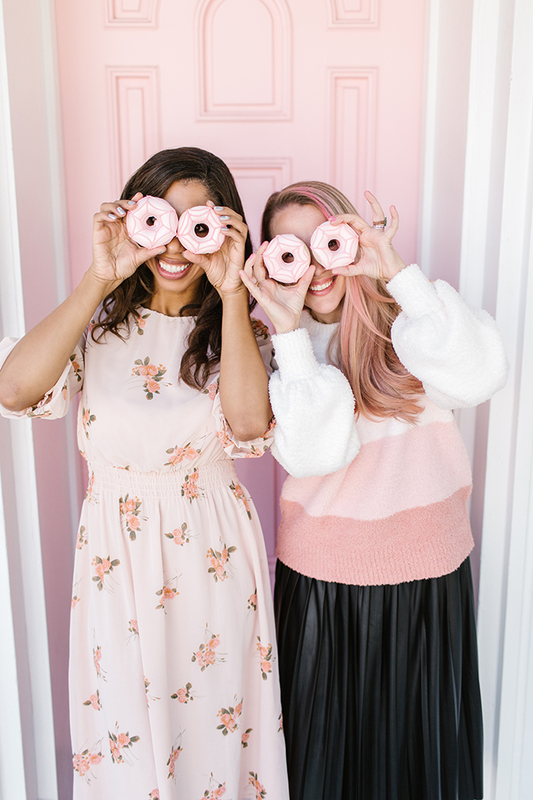 And don’t forget to shop all the LC Lauren Conrad outfits below.